A mouth-watering exhibition in Los Angeles celebrates all things ice cream. 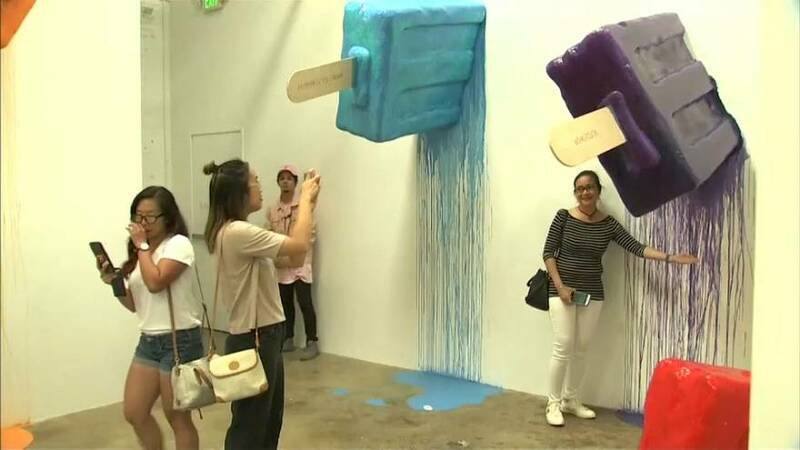 Called the ‘Museum of Ice Cream,’ the collection features interactive installations where visitors are encouraged to taste, sniff, and play. In the ‘Banana Split Room,’ 10,000 hanging banana replicas create a colorful jungle, while banana-scented scratch-and-sniff paper lines the walls. Other exhibits feature enormous popsicles, giant gummy bears and even a pool filled with 100 million custom made sprinkles.